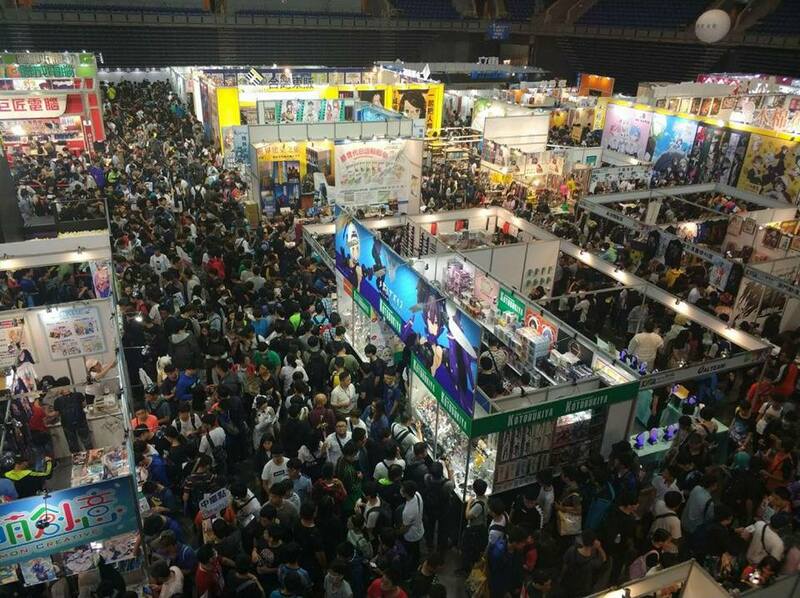 The Chinese Animation & Comic Publishers Association first sought to replicate its successful experience in holding its annual Comic Exhibition in Taipei to the staging of the Taipei International Comics & Animation Festival. In an effort to expand the scale of the industry and to better serve the public in southern Taiwan, the CCPA decided to hold a biennial Kaohsiung International Comics & Animation Festival, the first of which was staged from April 2 to April 5, 2016. Well-known publishing houses provided anime-related products and the sale of peripherals. In addition, renowned anime artists from Taiwan and abroad attended the event, where they displayed their published works and related products. 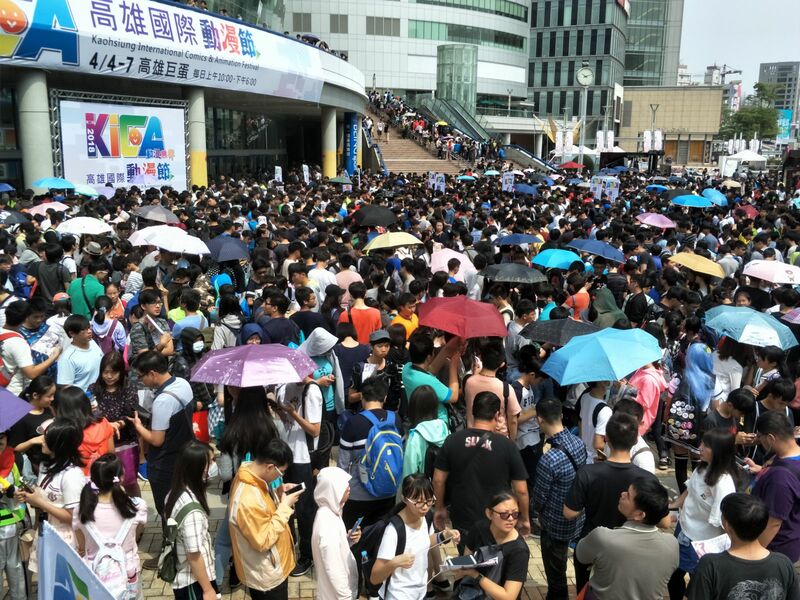 Some 267,000 people attended the four-day event, which included 250 stands and to which 30 currently popular animation and comic artists and experts were invited. The festival offered an opportunity for locally popular artists to interact with fans, with over 22 autograph sessions held. Following the Taipei Comic Exhibition and the Taipei International Comics & Animation Festival, anime fans in southern Taiwan looked forward to the 2018 Kaohsiung International Comics & Animation Festival, which was the second edition of this event. The festival, which was held from April 4 to April 7 at the Kaohsiung Arena, featured around 300 booths. Representatives from renowned publishing houses, anime, game, board game and related industries attended the festival. Besides a range of anime products and novels, also on display were many eye-catching fashion items, dolls, and other peripheral goods that were popular among anime enthusiasts.